Lineal heavyweight champion Tyson Fury 26-0 (19) might have ruled out a potential heavyweight clash with outspoken Liverpudlian Tony Bellew, but that don’t tell Frank Warren that. While the returning former WBA, WBO and IBF heavyweight champion has refused to be baited into a fight from his domestic rival, his promoter has other ideas. “Tony Bellew doesn’t have anything that I want so I’m just going to cut him off nice and sweet. Not interested,” Fury was quoted as saying on talkSPORT.com. “You can never rule anything out, but as far as I can see, Tony Bellew doesn’t have anything that I need or want. 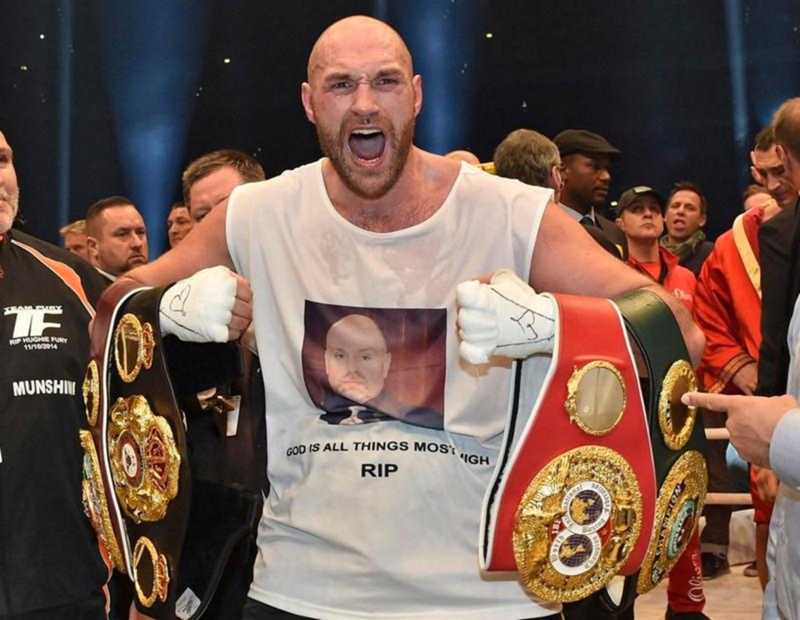 Fury was responding to comments from the 35-year former WBC cruiserweight champion that he would knockout the “Gypsy King” is the two crossed paths in the square circle. But while Fury has poured cold water on the idea, his promoter Warren is much more accommodating. After all, if it makes dollars it makes sense. Warren said: “I think there is huge appeal and it’s a fight I think I’m quite sure at the end of the day we may be able to get on. The 29-year-old Fury returned from two-and-a-half years on the sidelines earlier this month when he spend four rounds dancing with cruiserweight Sefer Seferi before the 39-year-old Albanian remained on his stool. Fight fans are expecting a more competitive match-up when he returns to the ring in August on the undercard of Carl Frampton’s WBO “interim” featherweight title defence against Australian Luke Jackson.